In recognition of the United Nations’ International Day of Women and Girls in Science, the Cherenkov Telescope Array Observatory (CTAO) will host its first Women of CTA meeting on 11 February 2019 in Bologna, Italy. 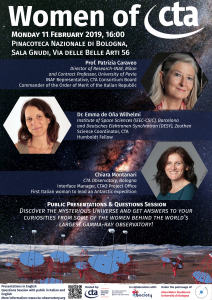 The meeting, which is free and open to the public, will take place at 16:00 in the Pinacoteca Nazionale di Bologna (Via delle Belle Arti 56) and will feature three experts from the astrophysics and engineering fields that will share their broad experience from their academic and professional careers and contributions to CTA: Prof. Patrizia Caraveo (INAF, Milan), Dr. Emma de Oña-Wilhelmi (IEEC-CSIC, Barcelona; DESY, Zeuthen) and Chiara Montanari (CTAO, Bologna). Following their presentations, the speakers will be available for questions in English and Italian. No reservations necessary, but seating is limited. Prof. Caraveo earned her degree in physics in 1977 at the University of Milan. 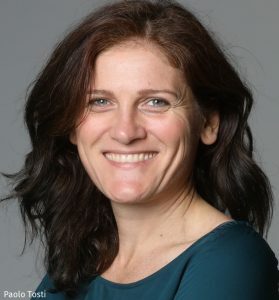 She has the rank of Research Director (since 2002) at the Istituto Nazionale di Astrofisica (INAF) in Milano and is a contract professor at Pavia University. She has taken part in several international space missions dedicated to high-energy astrophysics, starting from the European mission COS-B. Currently, she is involved in the exploitation of ESA’s Integral, of NASA’s Swift, of the Italian Agile and of the NASA Fermi missions, all fully operational in orbit. She also represents INAF within the CTA Consortium Board and has served on the CTAO Council. She is a recognized leader in the study of neutron stars behavior at different wavelengths. Her work lead to the discovery (and to the understanding) of Geminga, the first radio-quiet pulsar. Owing to such results, she won the Premio Nazionale Presidente della Repubblica in 2009. 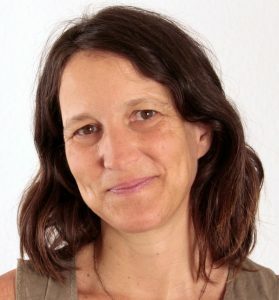 Moreover, she shared with her Swift, Fermi and Agile colleagues the Bruno Rossi prize of the American Astronomical Society in 2007, 2011 and 2012. In 2014, she received the Outstanding Achievement Award from the Women in Aerospace European Society and was included by Thomson Reuters in the list of Highly Cited Researchers for Space Science. In 2017 she was awarded the title of Commendatore dell’Ordine al Merito della Repubblica Italiana. Emma is a doctor in astrophysics with almost 20 years of experience in the field. Her research activity focuses on the understanding of the non-thermal processes and very high-energy emission of sources located in our own Galaxy, such as Supernova Remnants (SNRs), Pulsar Wind Nebulae (PWNe) and binary systems. She has been an active member and held leadership positions with several former and present gamma-ray instruments, such as HEGRA, H.E.S.S., MAGIC and CTA. Among others, she has been Convener of the Galactic Working Group in MAGIC and CTA, Convener of SNRs, PWNe and pulsars Working Group in H.E.S.S. and she is the current Science Coordinator for CTA. Her activities in the gamma-ray regime are complemented with multi-wavelength developments in X-rays and in radio, and was PWNe Coordinator for the X-rays satellite XIPE. In 2012, she obtained a Ramon y Cajal Fellowship (Spanish tenure-track) at the Institute of Space Sciences (CSIC-IEEC) in Barcelona, whom she represents for CTA-Spain and the Large-Sized Telescope consortium. She currently holds a Humboldt Research Fellowship for Experienced Researcher at DESY in Zeuthen, Germany. Chiara is an engineer with 15 years polar mission experience that defines herself as a “Life Explorer.” As a five-time expedition leader to Antarctica, she has traveled to the most extreme stations on the planet. 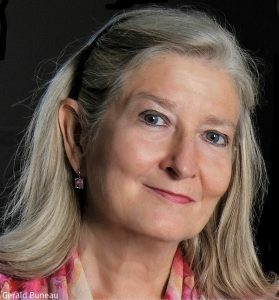 In addition to her polar missions, she also has worked in the United Kingdom with the broadcast industry, information and communications technology, as well as the energy efficiency and educations sectors and has been conducting research in organisational theories at Politecnico di Milano and the International Research Centre on Epistemology and Anthropology of Complexity (Bergamo). In 2014, Chiara was awarded by the city of Milan with “Ambrogino d’oro” (civic medal) for her engagement in boosting technological transfer, entrepreneurship and innovation. In 2015, she published the book “CRONACHE DAI GHIACCI, 90 GIORNI IN ANTARCTICA.” Chiara is now putting her skills to work for the CTA construction project as the new Interface Manager for the CTAO Project Office. Read more. This event is part of a global effort to raise awareness and find solutions to gender inequality and the overall under-representation of women, especially in leadership roles, in science. One of the foundations of the movement is that equality is fundamental to developing a healthy and productive environment to achieve social and scientific goals. However, despite the global efforts, there is still a lot of work to do. According to a study in 14 countries around the world presented by the UN, the probabilities of graduating with a Bachelor’s degree, Master’s degree or Doctorate degree in science are 18%, 8% or 2%, respectively, for female students against the 37%, 18% and 6% for male students . Worldwide, women represent less than 30% of the total researchers . These disparities persist in many different ways, one of which is called the “Leaky Pipeline.” This metaphor is used to illustrate how women enter the field at a higher percentage (sometimes exceeding men) but drop off as they move “up the ladder” to the higher stages of their career. And at an even more fundamental level, girls run into gender stereotypes before starting undergraduate degrees, deterring them from pursuing scientific/technological careers compared to degrees in humanities. As one of the important factors that gives rise to these disparities is the reduced visibility of female leaders and their achievements in STEM (science, technology, engineering and mathematics) careers, we hope that highlighting women who are leading and contributing to CTA will create a spark for girls and women interested in or pursuing a STEM career. CTA is an international institution proud of its diversity, which aims to be a reference of equity and respect in science as well as to work internationally to help to achieve gender equality, empowering women of CTA and their professional accomplishments, which will hopefully inspire future generations of researchers. This first edition of Women of CTA, which we expect to become an annual event, is just one of the projects we will pursue to promote diversity in our “astrodiversity” program. We look forward to seeing you in Bologna on 11 February!